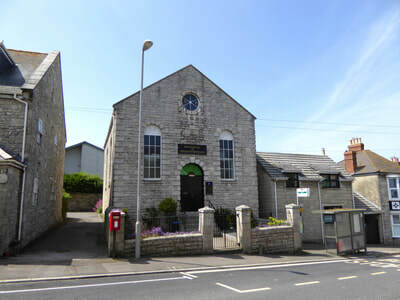 Maidenwell Bible Christian Chapel is a former Bible Christian Methodist chapel of mid-19th century origin, located at Maidenwell, Fortuneswell. 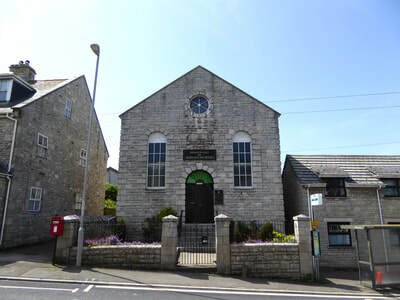 Built in 1865-66 and opened in 1866, the former chapel has been used as a Kingdom Hall of Jehovah's Witnesses since 1974. In recent years, it has been designated an Important Local Building within the conservation area of Underhill. 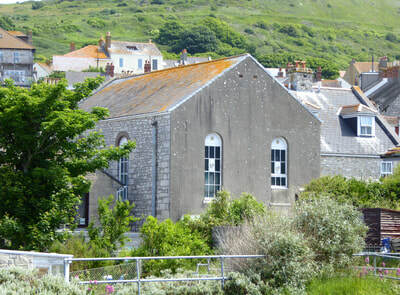 The chapel is the last surviving one on Portland to be erected by the Bible Christian Methodists. The society's original Zion Chapel at Wakeham, built in 1859, was closed and demolished in 1938, while a third place of worship, a Mission Chapel erected at the Grove in 1901, was only an iron building. 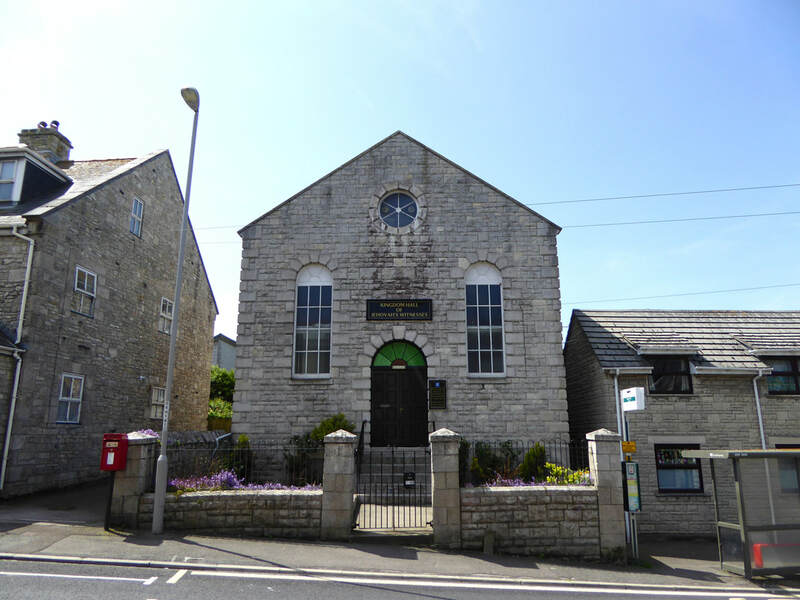 Portland's Bible Christian Methodist society was established in 1857, at a time when the island's population was rapidly growing as a result of the transformation of Portland Roads into a harbour of refuge and its associated government works. The society had a Zion Chapel erected in Wakeham in 1859, while those living in Underhill, namely Chiswell, originally used a temporary place of worship, described as a "long upper room", within that village. Wishing to erect a chapel of their own, initial efforts to find a suitable site proved unsuccessful, but eventually a plot of land at Maidenwell was purchased for £70. Construction of the chapel commenced on 16 August 1865 with the laying of the corner stone by Mr J. Allen of Kensington. The following proceedings of the day included a celebratory tea meeting and a service in the Congregational Chapel at Chiswell. The new chapel at Maidenwell, which had its own schoolroom, was able accommodate up to 220 worshippers and first opened for service on 14 January 1866. On the day, Mr W. Gilbert held two services (morning and evening) and Miss Potter held one in the afternoon. A following service on 15 January saw the Bible Christian Magazine describe the various speeches as "truly catholic and earnest" and Mr. Gilbert as "eloquent", while the same day had 280 people gather into the schoolroom for a celebratory tea event. Opening services continued for the rest of the month, with services on 21 and 28 of January described as "largely attended", with the "proceedings [having] passed off most satisfactorily". In February 1866, less than a month after its opening, the Sherborne Mercury reported of a Sunday service held at the chapel during a gale of "great fury", which saw "some of the congregation obliged to board and prop up the windows, to prevent their being blown out of the wall". By the end of the year, the debt associated with the chapel's construction and opening was £324. Later in Easter 1868, a successful bazaar held in the schoolroom hoped to reduce the debt down from £276 to £200. Despite Portland's society continuing to gain followers into the 1880s, it was later reported in 1887 that the society was showing "signs of decay rather than of life and growth". However, despite a drop in numbers, the chapel at Maidenwell underwent renovation in 1886-87, while the original debt relating to its construction was finally cleared in the early 1900s. In 1907, the Bible Christian Church became part of the newly-formed United Methodist Church, which saw it amalgamated with two other Methodist denominations: the United Methodist Free Churches and the Methodist New Connexion. The chapel was then referred to as the Maidenwell United Methodist Church, while the Zion Chapel at Wakeham became the Wakeham United Methodist Church. Finally, in 1932, the United Methodists merged with the Primitive and Wesleyan Methodists to form the "Methodist Church". 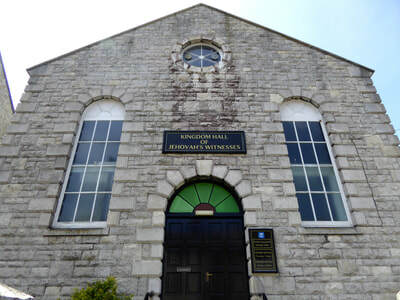 Throughout the following decades, the Maidenwell chapel continued to serve the Methodist community at Underhill, alongside the larger Underhill Methodist Church and a former Primitive Methodist Church of 1869. In 1971, Maidenwell's chapel, along with the 1869 church, was closed, leaving Underhill Methodist Church to serve the local congregation. The chapel was then sold to the Jehovah's Witnesses, who established a Kingdom Hall there in 1974. Some extension work was carried out on the building in the early 1990s. The Kingdom Hall remains in use to date, with two meetings held there each week. The chapel, built of Portland stone, was described by the Bible Christian Magazine in 1866 as a "good substantial building", "nicely situated" and "quite an ornament to the neighbourhood". It has eight arched windows (two on each side of the building) and one circular window, while ashlar quoins are incorporated into the entrance, windows and angles. The schoolroom was built below the chapel at basement level. 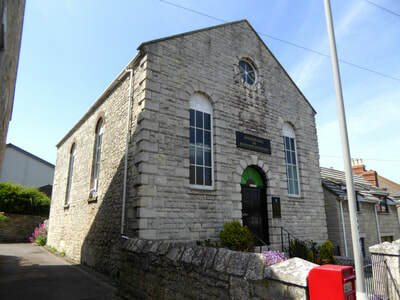 The former Maidenwell Chapel, now in use as a Kingdom Hall. 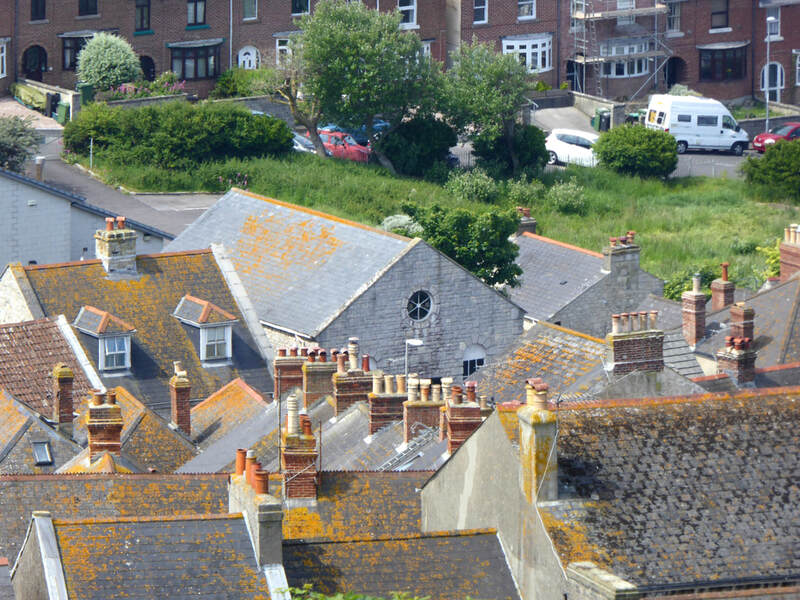 The roof of the chapel, seen from Verne Hill. The back of the building as seen from Three Yards Close.